When it comes to landscape and nature photography, autumn gets a lot of attention because of the bold fall colors, and so it should. In the winter, getting around can be more challenging due to ice and snow, but the winter does offer plenty of potential as well. The presence of snow can transform a landscape, leading to very unique photos that don’t look like photos taken at the same location during other times of the year. If you’re up for venturing out in the winter you can get some beautiful shots, and in this article we’ll look at five destinations that can be great for winter landscapes. The Grand Canyon in Arizona is one of the most popular landmarks in the United States, but the vast majority of photos taken at the Grand Canyon are from spring, summer, or fall. 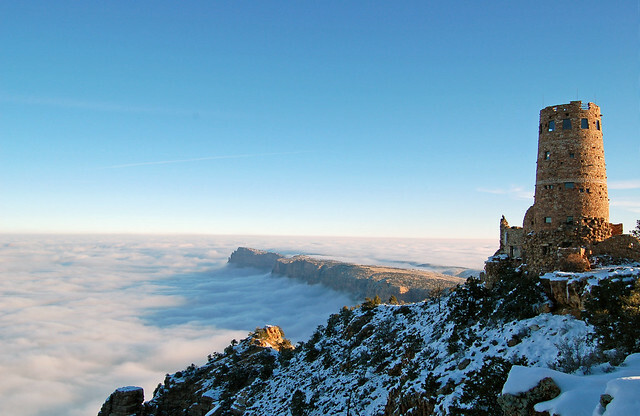 The north rim is closed during the winter because driving conditions are often difficult or impossible due to snow, but the more popular south rim is open in the winter. Not only will you avoid the crowds by visiting in the winter, but you’ll also get a chance to take plenty of amazing photos. The white snow combined with the colors of the canyon creates a truly beautiful scene. If you are planning a trip please see The Photographer’s Guide to the Grand Canyon to learn about the best locations and how to get around. The Canadian Rockies offer beautiful scenery year round. Whether it is the blue water of Lake Louise in Banff National Park or the snowcapped mountain peaks, the Canadian Rockies provide an incredible setting. In the winter the lake freezes over and the trees and mountains are covered with snow. This is an ideal setting for stunning winter mountain photographs. Banff may be one of the most popular locations in the Canadian Rockies, but there are plenty of others worth exploring as well. Jasper National Park, Kootenay National Park, Yoho National Park, and Waterton Lakes National Park are also located in the Canadian Rockies. Waterton Lakes is located on the United States/Canadian Border just north of Glacier National Park in Montana. 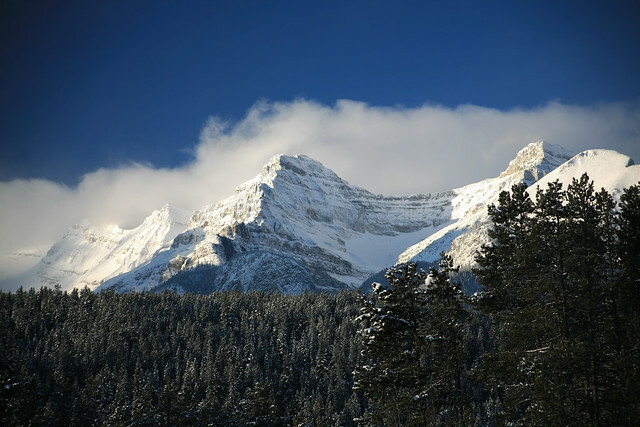 To learn more about the area please see Best Places to Photograph in the Canadian Rockies. Bryce Canyon is one of several popular national parks in Utah. The red spires are an amazing sight any time of the year, but they look especially beautiful when they are adorned with snow. 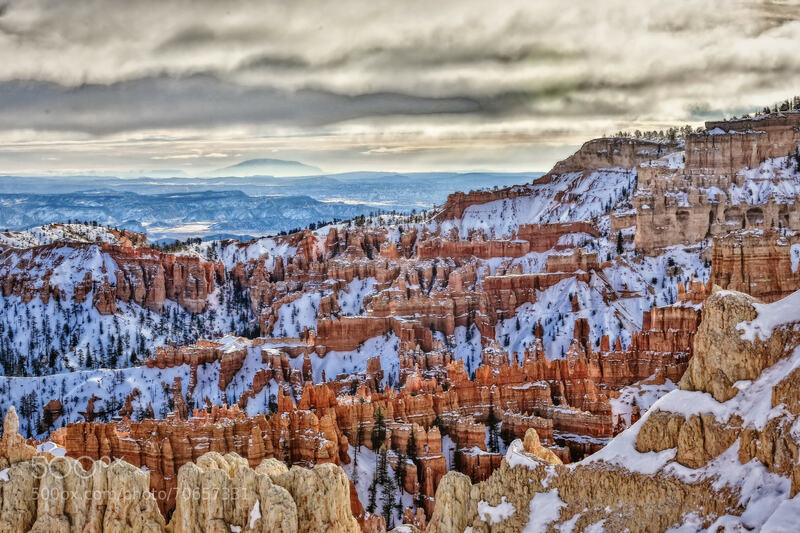 Many people who visit Bryce Canyon also visit other national parks on the same trip. The closest is Zion National Park, but Capitol Reef, Canyonlands, and Arches National Parks are also located in Utah. There is a lot to do at Bryce Canyon in the winter, including skiing, sledding, backpacking, and the annual Winter Festival. For more info please see Winter Outdoor Activities from the National Parks Service. Lake Tahoe, on the California/Nevada border, is a popular destination throughout the year, but winter snow can lead to some beautiful landscape photo opportunities. Surrounded by the Tahoe National Forest, the setting can be quite stunning in winter. 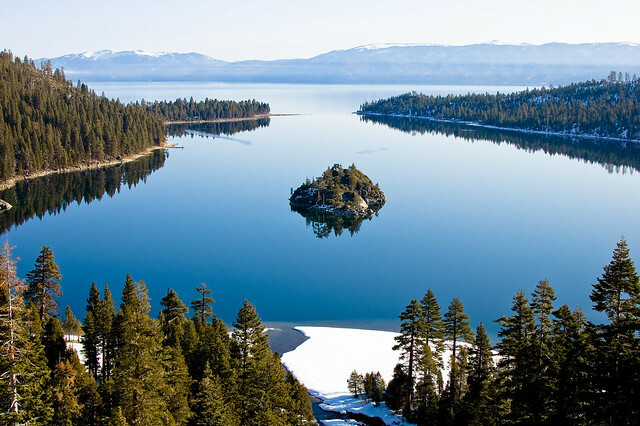 Lake Tahoe also offers plenty of things to do in winter aside from photography, including skiing and snowshoeing. For more on Lake Tahoe please see the Lake Tahoe Photo Tips. 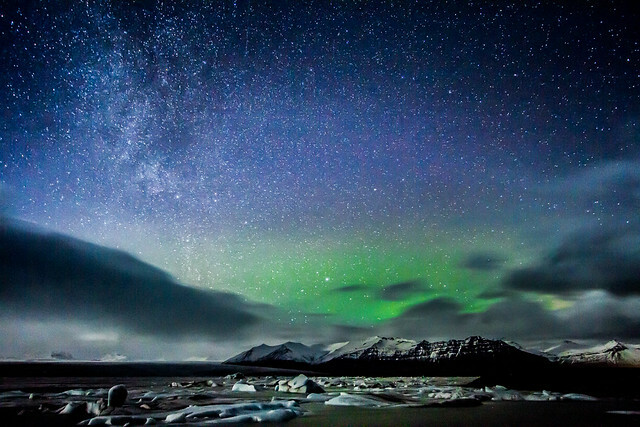 Iceland is a dream destination for many photographers. Regardless of what season you visit, there will be plenty of opportunities for beautiful landscape photos, but winter offers some special perks. The most significant is the opportunity to photograph the stunning Aurora Borealis. If you enjoy shooting night landscapes this is a destination that you will not want to miss. Winter in Iceland also allows you to easily walk on frozen lakes and access glaciers. Although the temperatures are frigid, the photos are worth it. For more information see Winter Photography in Iceland. Marc Andre is the editor of PhotographyPla.net and Loaded Landscapes, a new blog that focuses exclusively on landscape and nature photography. The Mournes in Northern Ireland is also a stunning location for winter landscapes. The peaks are amazing during the winter months. Interesting you only picked 5. Mostly North America and the one off of Iceland. There are far more places and far more countries that could be explored. To name a few? Sweden, Norway, Finland, Faroe Islands, Isle of Skye Scotland (or Scotland on the whole), Siberia, oh I could go on there are far too many to list. It’s just a shame you went with some standard ‘eh’ places in North America and didn’t add more International to this one.